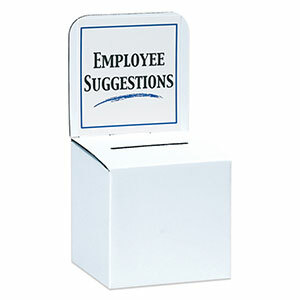 These 10x10x9 Ballot Boxes are great for use as a suggestion box, raffle ticket collector or voting. They also have an optional header card available with plenty of write-on area for your message. Ballot boxes are made from strong 200#-B oyster white corrugated. They all come with Locking Tabs - No Tape Needed, and ship and store flat until you are ready to use them! A great space saver!